If you've made it this far, congratulations! Just remember, what you do over the next three days will determine how much of the benefit you retain. Once again, eat slowly and chew your food well. Don't overeat. Start small and build to normal portions over the next three days. And remember to wait at least four to five hours after your morning drink on Day 5 before eating. Use lettuce or spinach and sprouts of all kinds. Add avocados, zucchini, onion, artichoke hearts, palm hearts, shredded carrots or beets, mandarin oranges, raisins, or dried cranberries if you like. We've received a number of questions concerning the last day of the detox, so let me answer them all at once here. When and what can I eat today? You can start eating about four to five hours after you have your morning drink. Start with small salads and fresh fruit today (organic if possible). Tomorrow, you can incorporate some steamed vegetables. Same with the next few days, you're back on your own -- hopefully with a little more discipline. Can I have olive oil with my salad today? Absolutely. Now that you have had your final morning drink, oil is not a problem. You can also start having flax oil or flax seed again if you want. When can I resume taking my supplements such as Men's Formula, Ever Young™, Kombucha tea, etc.? You can start the day after completing the detox. If it's good for your body, put it in. I didn't notice anything special while on the detox. Is that good or bad? Congratulations! You and Jon are in the same place--he never notices anything, either. 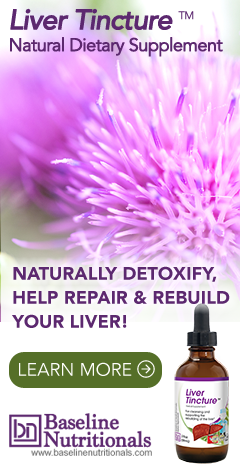 Most likely, your liver was not overly toxic nor packed with stones. On the other hand, it's possible that you only got a partial release this time. Once you've done two to three detoxes with no significant side effects, you can be fairly sure that your liver is basically clean. But keep in mind, the reason Jon keeps doing two liver detoxes a year is to keep things that way. I didn't see any stones in the toilet. We hear from many people that they've seen "horrible" things floating in the toilet--but many notice nothing. That's not unusual. In many cases, the stones are too small to notice -- or too few. Also, psyllium, which makes the elimination of waste much easier, tends to encapsulate waste and makes things harder to see. Also, keep in mind that people often confuse the little "soap" beads that the body can make out of olive oil in the intestinal tract as stones. On the other hand, the fact the body produces "soap stones" doesn't mean that it isn't also flushing real gallstones. In the end, it's not what you see that's significant--it's how you feel. Wait until the first few days after the detox and then evaluate. Do you feel lighter and cleaner? Is your breathing a little easier, less mucousy? Does food taste better? These are the tangible results you're after. If nothing else, were you able to break some bad eating habits or lose some of that extra weight you picked up over the holidays? 2. If it has been 4 to 5 hours since your morning drink, you can now start eating real foods by following the guidelines at the top of this page...just eat slow and CHEW to slowly wake up your digestive system. If you still have any tincture left, continue to consume 4 droppers of Blood Support™ and 4 droppers of Liver Tincture™ three times a day until the bottles are empty. Note: A dropper equals 1ml, as marked on the dropper. Discard any remaining Liver Tea, or continue to drink if you like. CONGRATULATIONS! We hope that you have enjoyed your full body detoxification journey to optimum health. Continue to read the detox tips for the next two days and learn how to rebuild your system in the following weeks.